During the holiday season, we often see organizations collecting items that will eventually be donated to charity. Donation boxes can include toilet paper and paper towels, soap, hats, batteries, canned goods and other essentials. As a society, we often forget about the very basic needs of women: feminine hygiene products. 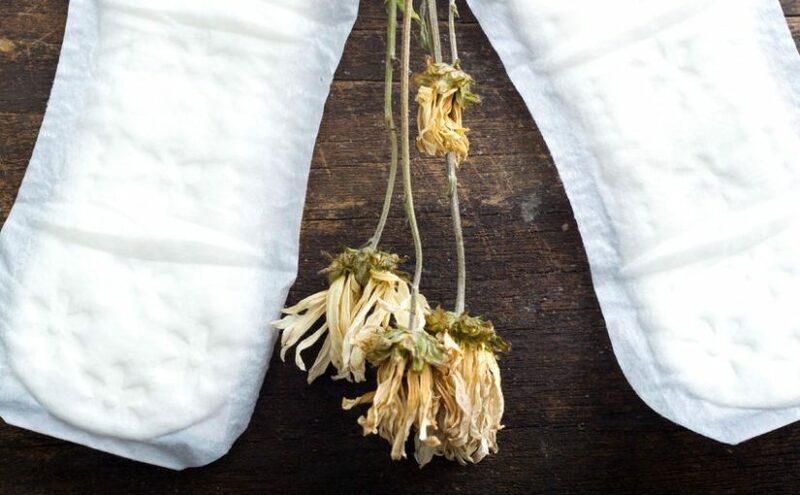 As women, it is our body’s natural response to menstruate each month, and many women are never given the means to manage their periods comfortably. Uncontrolled periods often result in hygiene issues for these women and emergency medical care that they can’t easily access. Imagine not being able to have access to tampons and pads when you need them? For women living in poverty, this is a common occurrence. Fortunately, many people are raising awareness about this issue and pushing for tampons and pads to be available for those who can’t afford them. Two students from New York’s Manhattan College’s Just Peace Club, a social action group that works to fight injustice, is bringing light to the severe lack of feminine hygiene products available to homeless women. The two seniors, Katelyn Conroy and Sarah Kissane, developed “The Period Project” in order to bring their club together and give back to their community. “The Period Project” was founded by the two students to help raise awareness of the fact that feminine hygiene products are typically at the top of a woman’s list in poverty when asked what their basic “needs are.” The project was able to collect hundreds of pads and tampons for Bronx shelters, giving women what they both desire and deserve. Periods are a part of a women’s life. They do not stop for the people that cannot afford the products they need in order to manage them, and it’s up to us to help those women however we can. Comforté donates to two charities on a regular basis including Gillian’s Place and Haven House. During this holiday season, and every season, consider how you can do your part to give back to people in need. That 't bother me. The knee's fine,'' insisted.Vikings coach Mike Zimmer said he has no concern about 's Wholesale NFL Jerseys If Wholesale NFL Jerseys Treadwell and Stefon Diggs can prove a dynamic duo, it's even better. According to experts, the input of these requirements give one more advantage to local market companies Cheap Jerseys foreign competitors such as , Google, Cisco and others. It's not a life-or-death injury. The Thunder are ninth overall Defensive Rating at 104, per . Figuring intact clavicle was worth the $300, Dolph paid Brisker Cheap Jerseys out of Cheap Jerseys Wholesale China own wallet. is Comforté in your bag? Say hello to temporary relief of monthly feminine discomfort! Women everywhere are discovering the wonderful relief Comforté offers. Make sure it’s in your bag today! Disclaimer: While Comforté has been dermatologist approved and received favorable responses during a consumer-trial conducted by Princeton Consumer Research, this product has not been evaluated by the FDA and is not intended to diagnose, cure, prevent, or treat diseases of any kind. The information presented by PMS4PMS, LLC is not meant to substitute or replace information from health care practitioners. Please consult your healthcare professional about potential interactions or other possible complications before using any product. The Federal Food, Drug and Cosmetic Act requires this notice.